In its 24th year, the Concert Series is looking forward to 2018 being one of its best seasons yet. The Waterford Concert Series, a well known musical mecca in Waterford that has long been attended by those who appreciate fine classical music, has announced its 2018 season. This year will include an acclaimed flute, strings and piano quintet, one of the world’s leading tenors singing arias from grand opera, an internationally renowned string quartet from California, a celebrated pianist, and ever popular young stars of tomorrow from Levine Music. In its 24th year, the Concert Series is looking forward to 2018 being one of its best seasons yet. The concerts are performed in a beautiful, acoustically impressive light filled space at the Waterford Old School Auditorium, a National Historic Landmark, in the quaint village of Waterford on select Sunday afternoons. 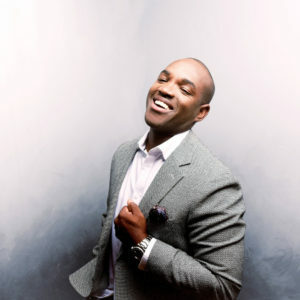 The Concert Series welcomes Lawrence Brownlee on April 29. Opera sensation Lawrence Brownlee will sing arias, art songs and spirituals on Sunday, April 29 at 4 p.m. in the Waterford Old School auditorium, 40222 Fairfax St., Waterford VA, the second concert of the 2018 Waterford Concert Series, now in its 24thseason. Lawrence Brownlee is one of the most in demand tenors today, his voice praised as “an instrument of great beauty and expression” (NPR). He is sought after by opera companies worldwide as perhaps the world’s finest bel canto tenor, especially for Rossini and Donizetti. He performs often with the Met Opera, La Scala, Covent Garden, the Washington Concert Opera and the Washington National Opera. Brownlee’s Cycles of my Being, a song cycle about the life of a black man in America he created with composer Tyshawn Sorey and poet Terrance Hayes, opened recently at Opera Philadelphia to great acclaim and is now on tour. Brownlee appears on opera CDs and has many solo discs, from his Grammy nominated Virtuoso Rossini Ariasto Spiritual Sketches. His warm onstage presence gives him a wonderful rapport with his audience. Book early: seating is limited and tickets are going fast. Single tickets are $45 adult, $20 student. For ticket purchase and more information, please go to www.waterfordconcertseries.org. Coming up: Best of Levine, May 20; Calidore String Quartet, September 23; and Inon Barnatan, pianist, November 11. Loudoun Mutual Insurance Company is the principal sponsor for Lawrence Brownlee, assisted by Supporting Sponsors Virginia Friend and Susan Sutter. Generous sponsors and donors help keep ticket prices low. Volunteers began the concert series in 1994 working with the Waterford Foundation. Now an independent non-profit, the Waterford Concert Series was incorporated in 2015 to promote classical music to a wide regional audience in the historic village of Waterford. Settled in 1733, Waterford is about one hour NW of DC in Loudoun Co. VA. The new address is Waterford Concert Series, P.O. Box 251, Waterford, VA 20197, or on the web at www.waterfordconcertseries.org.